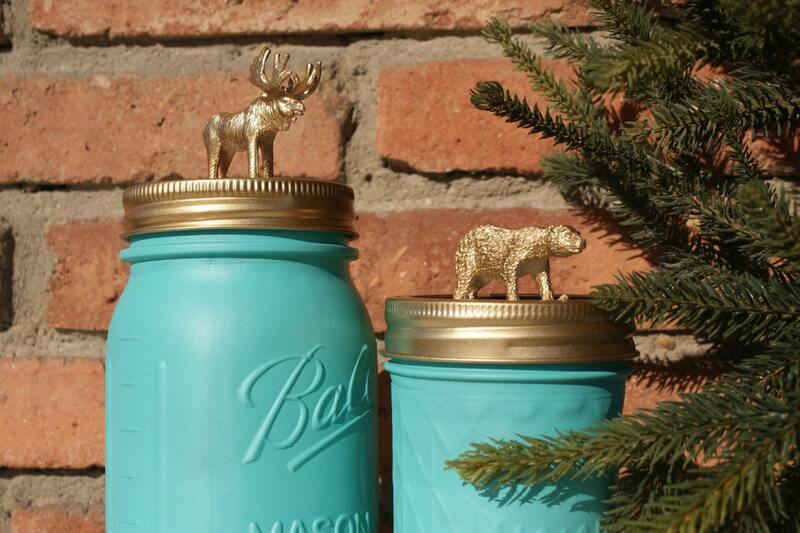 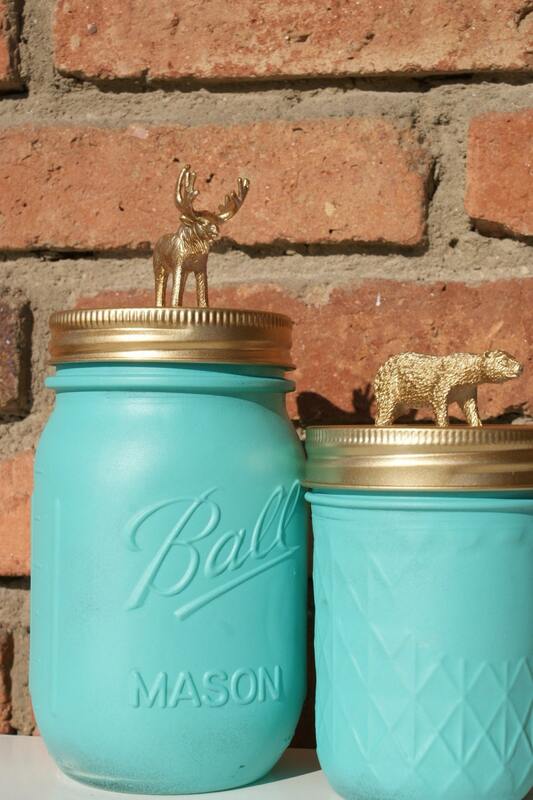 This vibrant turquoise, storage Mason jar with a stunning, hand-painted animal lid can be used for almost anything. 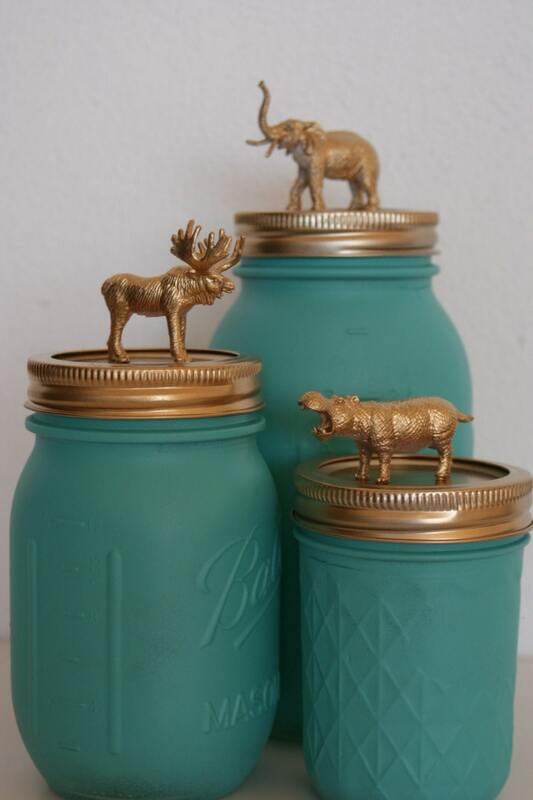 These unique jars look amazing on any shelf or desk. 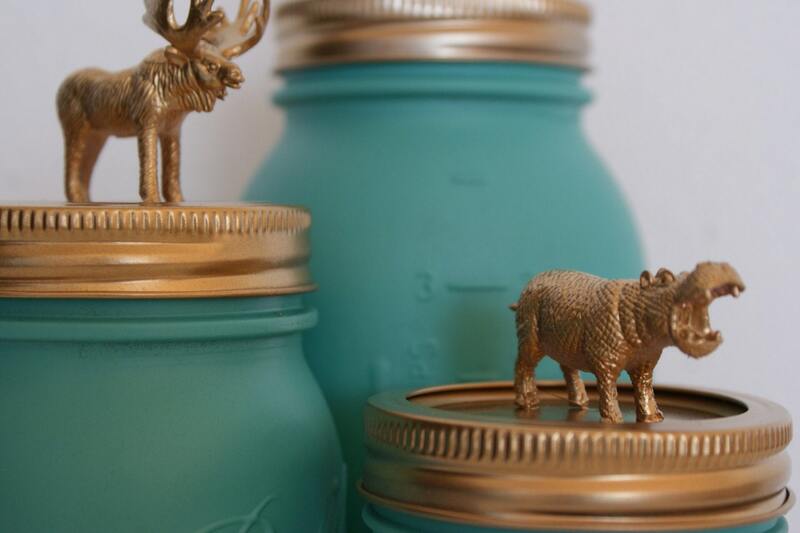 The gold and turquoise adds a touch of shabby chic to the mixture. 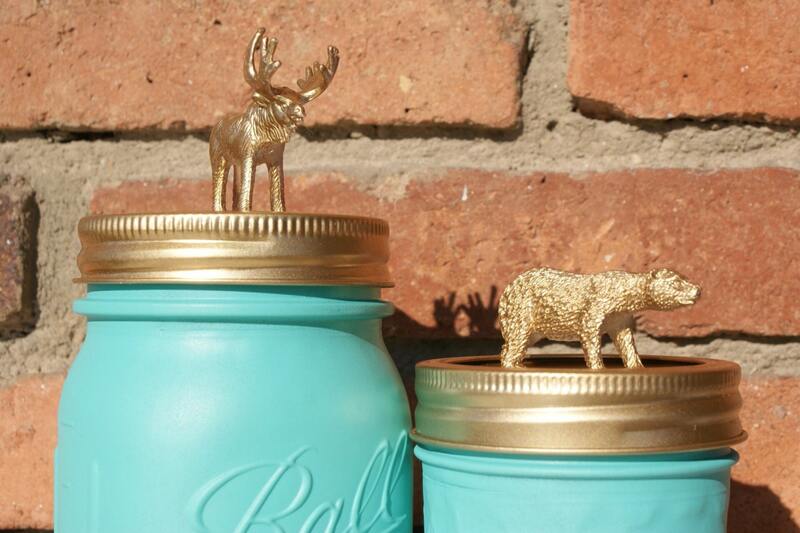 Any of these jars would look perfect in your dorm room or at home, and make an excellent gift idea.